Lenovo which recently launched the A7000 in India has now launched yet another device called teh A6000 Plus which is the elder brother of the A6000 and having an Additional GB of RAM. 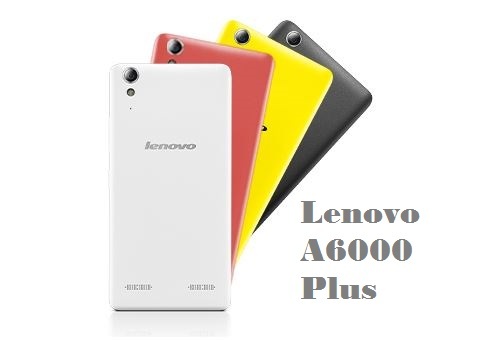 The Lenovo A6000 Plus comes with 2GB of RAM compared to 1GB as seen in A6000. Seeing at the ‘Plus’ name behind the A6000 many thought of it to have a bigger screen but it is not the case as seen in the iPhone 6 and iPhone 6 Plus. Along with the increased RAM there is also an increase in the internal memory where it is doubled to 16GB. The A6000 was launched in India earlier this year and it has been a big hit with the users getting great reviews as it went against the likes of Moto E 2nd gen and the Redmi 1s and got very good response. Coming to the specifications of the Lenovo A6000 Plus it comes with a 5-inch HD (1280×720 pixels) display, and a 1.2GHz Qualcomm Snapdragon 410 quad-core processor which are the same in its sibling model. The A6000 Plus also comes with a 8-megapixel rear camera and a 2-megapixel front-facing camera. Coming to the Memory part the device comes with 2GB of RAM and 16GB of internal memory which are twice that of the A6000 which can be further expanded using microSD card slot, and a 2,300mAh battery to power the device. Connectivity of the device includes dual-SIM card slots with LTE support for 1st SIM and a 2G enabled 2nd SIM, Wi-Fi, Bluetooth 4.0, GPS, and on the software front, it runs on Android 4.4 KitKat wrapped under Vibe 2.0 UI. The smartphone comes in black, white, yellow and red colors. The pricing of the device is not yet released and the availability of the device is not yet known but we are expecting it to be around the Rs. 8000 mark which will make it yet another device to take on the competition successfully with the success of the A7000 also evident with today’s flash sale which saw the device being sold out in just a few seconds.